So you’ve seen it mentioned in Elle, OK! Magazine, The Daily Mail and other high flying publications, but what exactly are K.B Pro Microblading Brows? 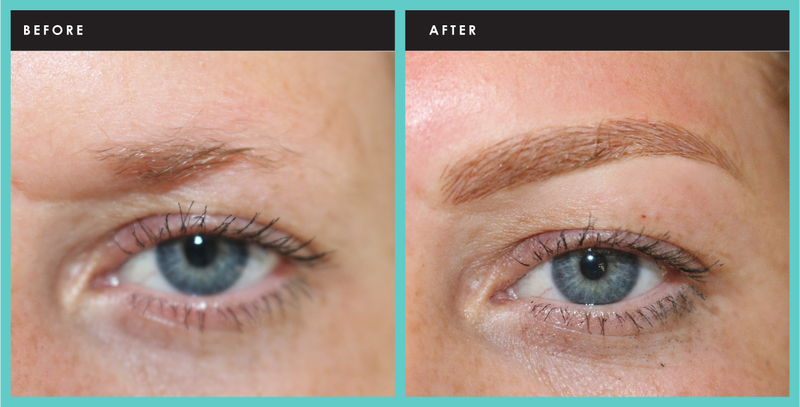 In short it’s Karen Betts’ latest innovation; a finely tuned Microblading treatment pioneered by Karen and her Elite Team which uses a specially developed hand tool, referred to as the K.B Pro hand glider. The treatment incorporates specialist techniques to enable Karen and our Elite Artists to create ultra-realistic looking hair strokes for highly defined perfectly shaped brows. The treatment starts with an in depth consultation. The brows are first drawn on to compliment the individuals face shape and enhance the facial features. Once you’re happy with the shape (the brows can be re-drawn as many times as needed), numbing cream is applied to make the process as comfortable as possible. They may say no pain no gain but, in reality, the treatment will cause very minimal discomfort with many clients saying it just feels like tiny surface scratches on the skin. A colour/pigment is then matched to best suit and compliment your skin tone and hair colour. Karen and our Elite artists are extremely knowledgeable in colour theory, which is essential to ensure the natural skin undertones are taken into consideration for a natural final and healed result. The glyder is then used to create the finest of hair strokes of different lengths and directions. Applying the just the right amount of pressure for each stroke is key, too light and the pigment will fade too quickly, but too deep and the hair stroke may not be sharp enough. K.B Pro Brows really has no limitations, it’s suitable for everyone. Whether you just want the convenience of permanent makeup to save precious snoozing time in the morning or you have hair loss, sparse eyebrows, thinning hair or over-plucking, K.B Pro Brows are personalised every time to help you ditch those eyebrow pencils for good and wake up with perfect eyebrows every day.